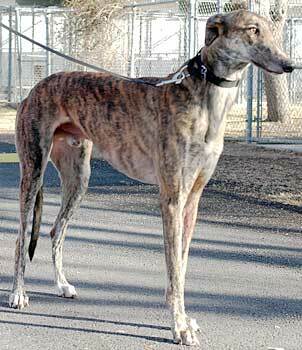 Evan, aka Wms Evader, is a brindle male, born December 1, 2003 to sire Dodgem by Design and dam Wms Runaway. Evan has 1 race on record, but it appears that competing wasn't Evan's strong suit as he didn't cross the finish line that day. 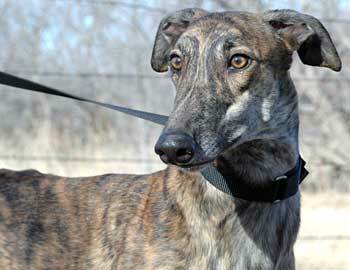 Evan may not have been a contender at the track, but he is sure to win hearts with his affectionate disposition. 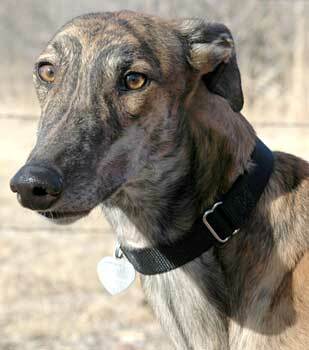 Evan is cat tolerant but has not been introduced to small dogs. Evan will do best in a home without small children.